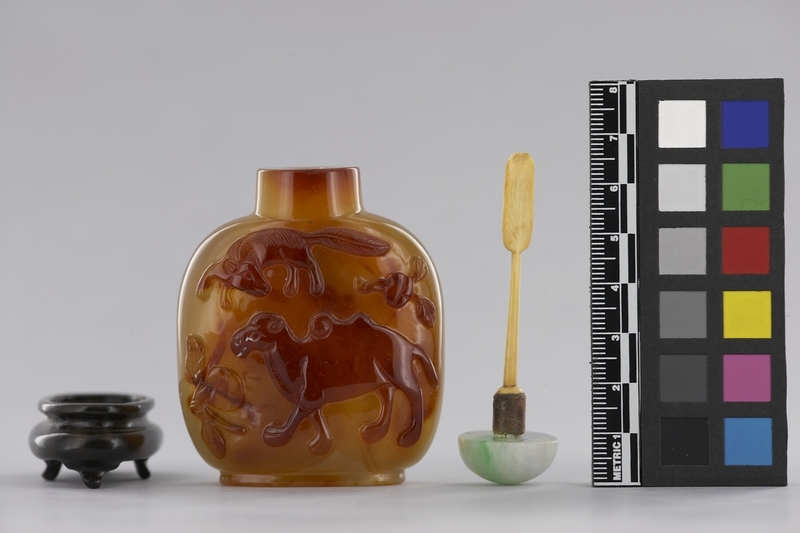 Item number N1.404 a-c from the MOA: University of British Columbia. 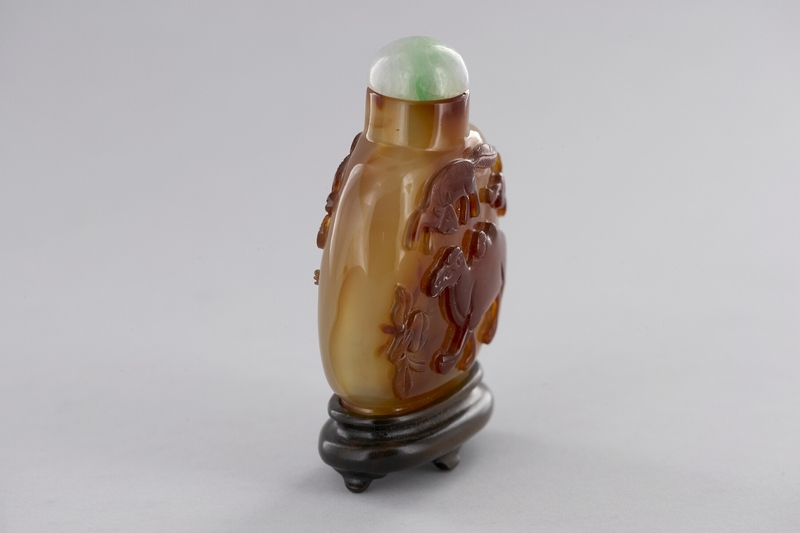 A honey-coloured snuff bottle (part a) that is decorated with amber-coloured high relief figures of a man, and a frog on one side while the other side has a wolf, a camel, and some fruit. 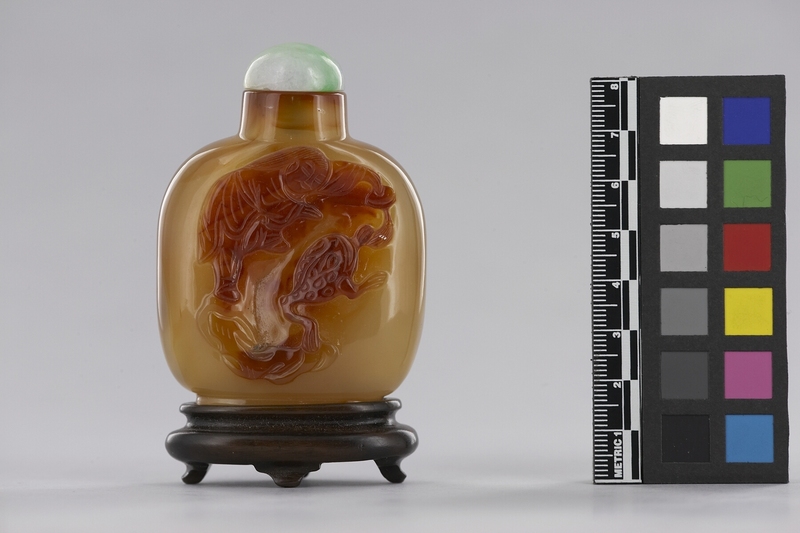 There is a stopper (part b) that is made of green, and white jade. The wood stand (part c) has the shape of an oval, and has four legs.